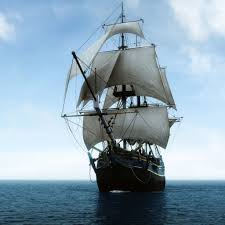 Get your sea legs on, it's time to sail the salty seas! 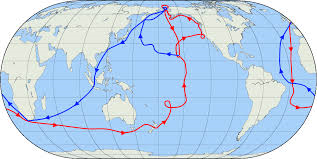 This term we aim to navigate, investigate and explore the world - just like captain Cook. 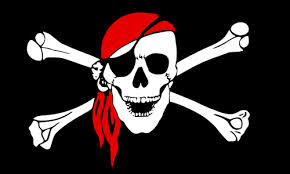 We will also be making a boat, sinking a ship and flying pirate flags! If you go down to the woods today you're sure of a BIG surprise! Last term we spent a lot of time outside! 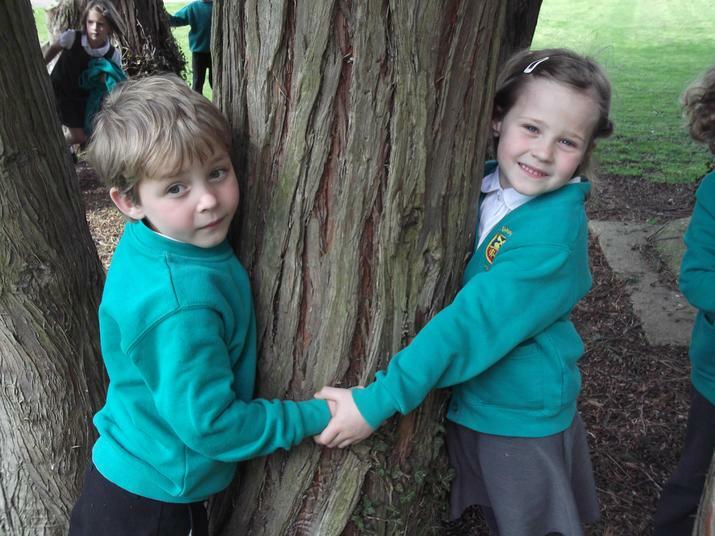 We had fun exploring the trees in our school grounds. 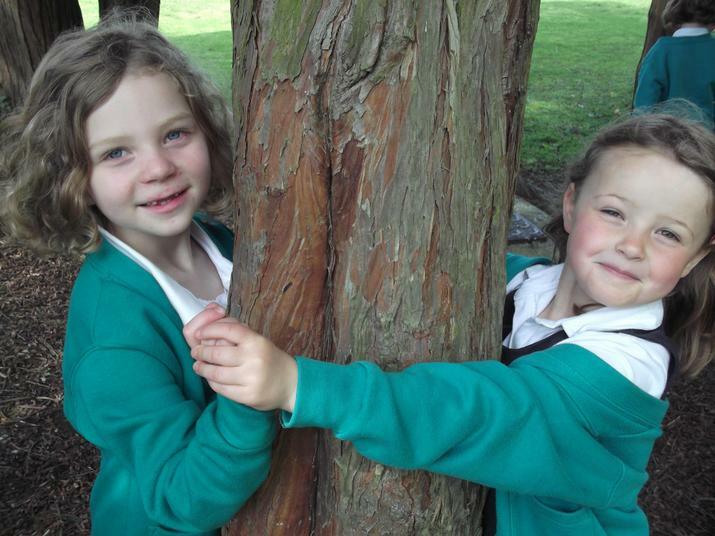 Here are some of our favourite trees! Lanner class had a party in the woods. We had fun meeting a real beady-eyed owl. We also built a teeny tiny home for a woodland fairy! 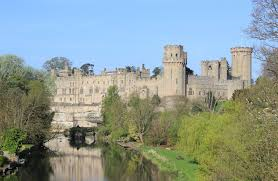 We had a great time visiting Warwick Castle. We were ready to invade the mighty castle walls. As we headed across the drawbridge, over the moat and up into the top of the tower we longed to meet a special character from a well known fairy tale. 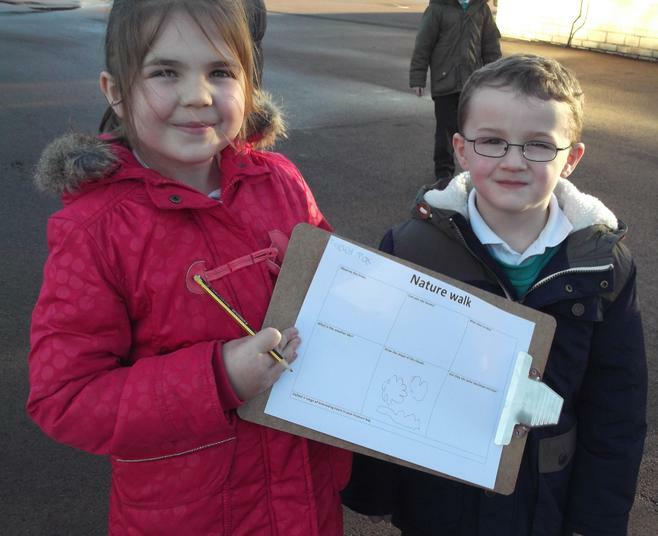 We had a great time finding out about the types of weather we may experience on a daily basis. What weather do you prefer? Sunshine, snow, storms or showers? 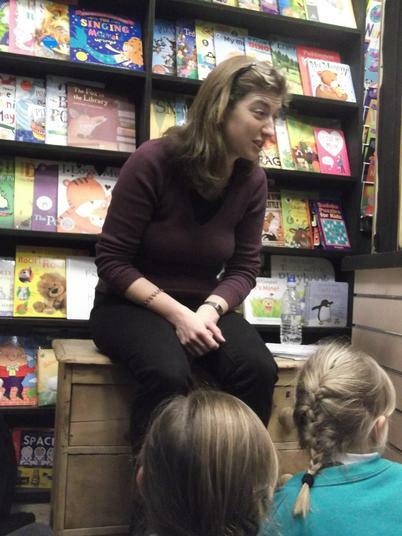 On Thursday 12th February 2015 we were invited to meet an author at the local book shop 'Books Yule Love'. 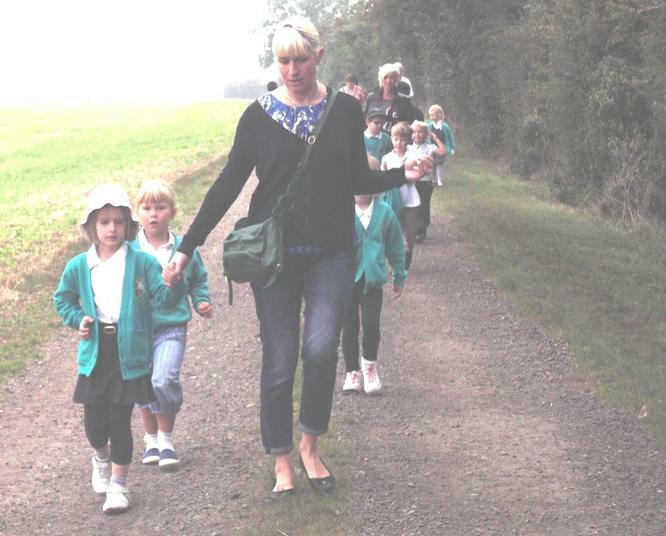 Luckily, it was a dry day and we all thoroughly enjoyed walking there and back in the sunshine. 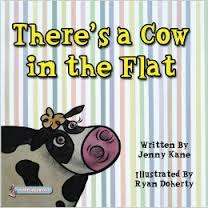 The author, Jenny Kane, read her latest children's picture book entitled, 'There's a Cow in the Flat'. We thought the story was funny and we all came up with some amazing ideas when Jenny asked us how we thought the cow actually got in the flat in the first place! 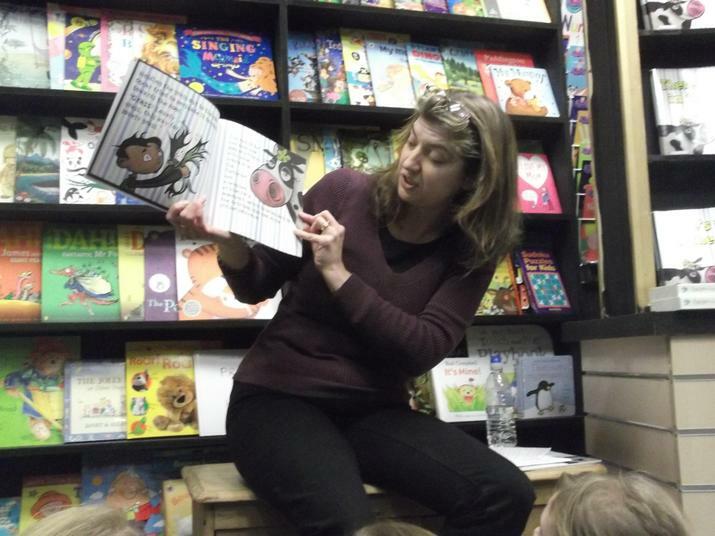 Jenny Kane reading her latest children's picture book. 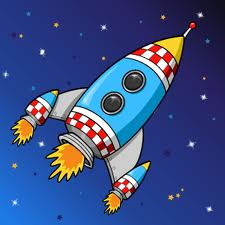 Our theme for Autumn 2 was: Moon Zoom! Crash! 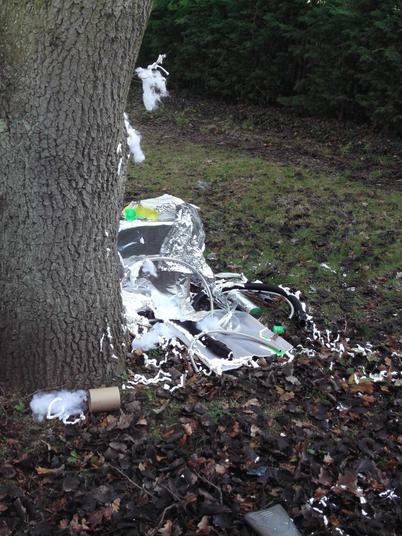 What landed in the playground? We went outside to take a look. Everyone agreed that a spacecraft had crash-landed! Take a closer look at the evidence left behind. We had fun finding out who might have landed as we investigated the scattered specimens left behind. 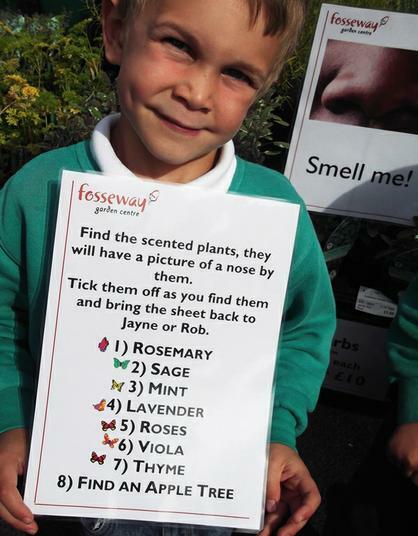 Our theme in term one was ‘The Scented Garden’ we were using our senses to discover the blooming foliage and enchanting fragrances of flowers and herbs. 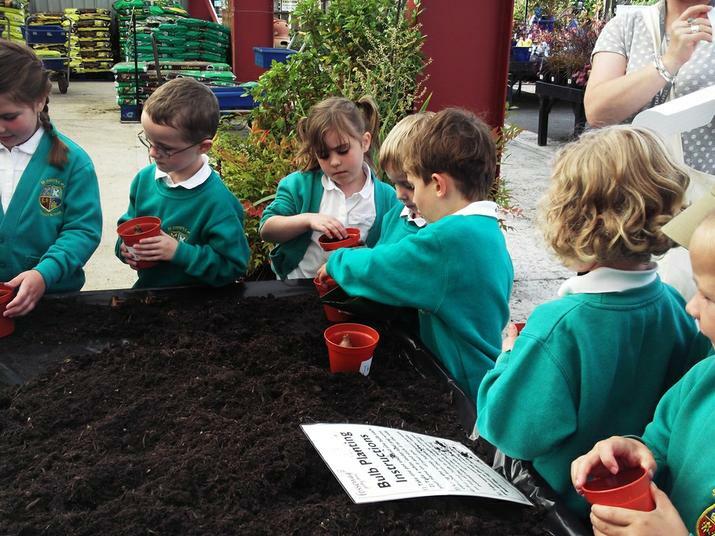 On Friday 12th September the Falcon classes went on a visit to Fosseway Garden Centre. We took part in a 'Scented Quiz'. 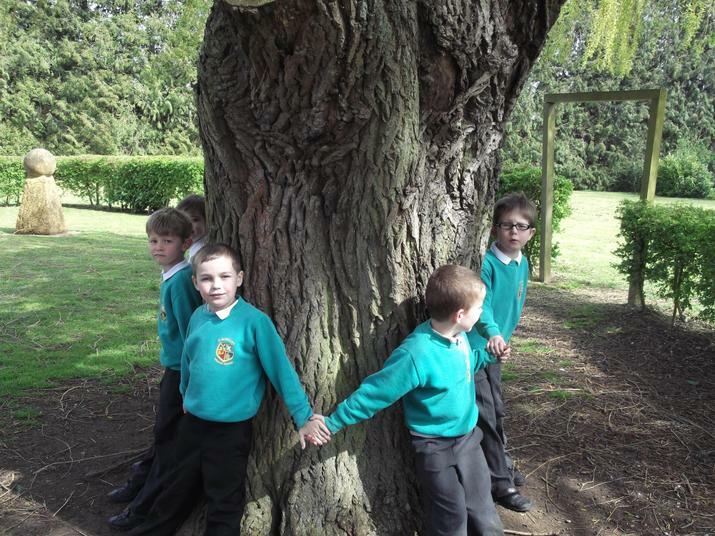 This involved using our senses to explore a range of plants. 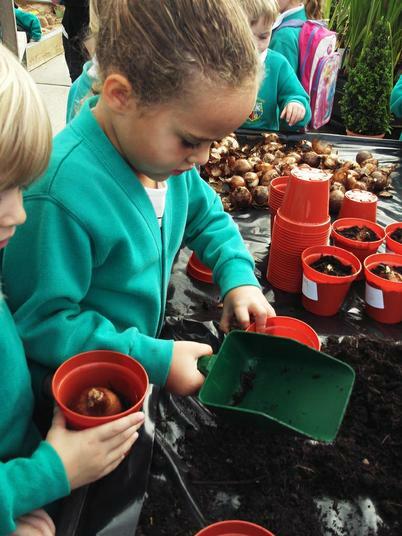 During our visit we found out how to plant bulbs. We needed a plant pot, compost, a bulb and some water. 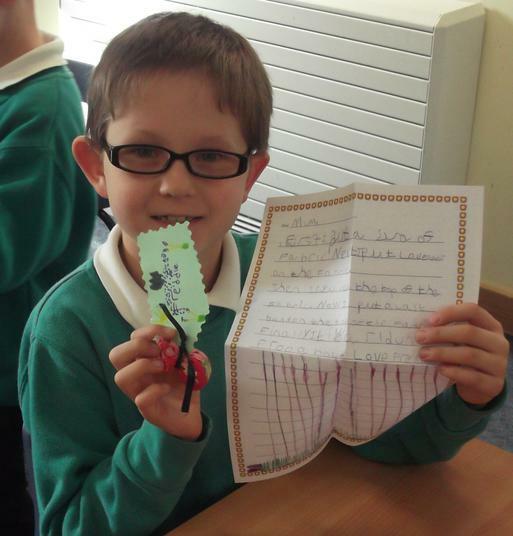 Take a look at the photographs below...it was great fun! 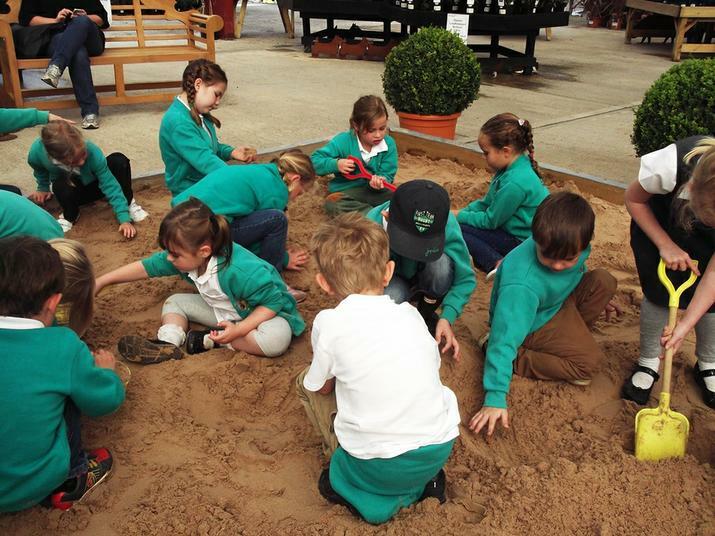 After a drink and a biscuit we were invited to play in the large sandpit. We followed the SMART rules and everyone enjoyed this relaxing activity. Soon it was time to walk back to school. 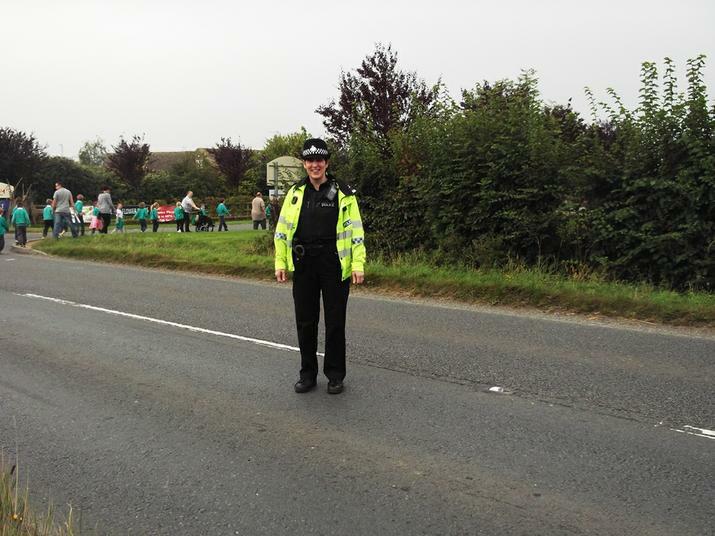 The Falcon classes would like to thank Fosseway Garden Centre, the Police Officers who escorted us safely across the busy main road and the large group of parents who gave up their valuable time to make this trip possible. 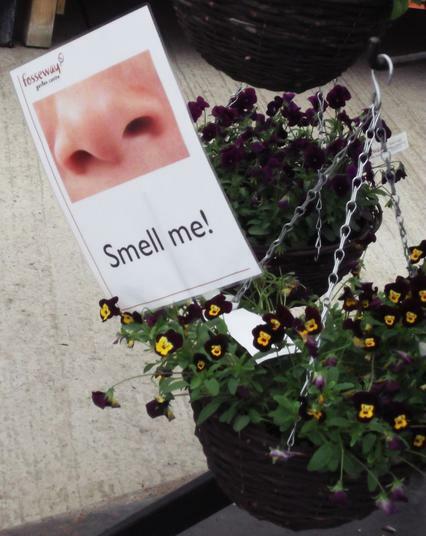 We have found out that flowers and herbs have heavenly scents. Using our knowledge of scented herbs and flowers we set about making some amazing gifts. Our lavender bags had a gorgeous fragrance and were quite easy to make. 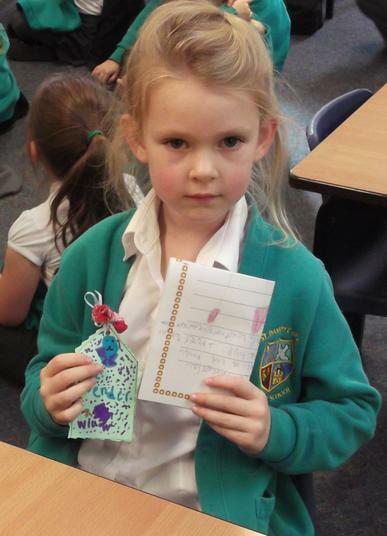 We designed special gift tags and wrote clear explanations of how the gifts were made for our loved ones. Take a look at our finished products.